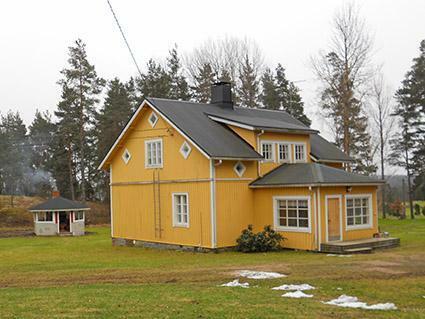 30 km south of Salo, Tekolampi pool 100 m (length 100 m, width 30 m), shallow, hard sanded bottom, shore shared with owner and an other cottage (6268), River Kiskojoki 400 m, where own boat. 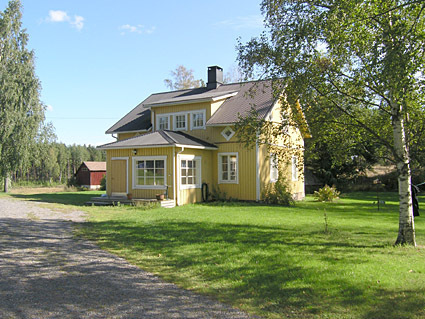 Wooden previous detached house 1920, renovated 2000, kitchen, living room 2 extra beds, bedroom double bed, washroom, hall, sauna (electric stove), upstairs 2 bedrooms 3 beds in each and WC. 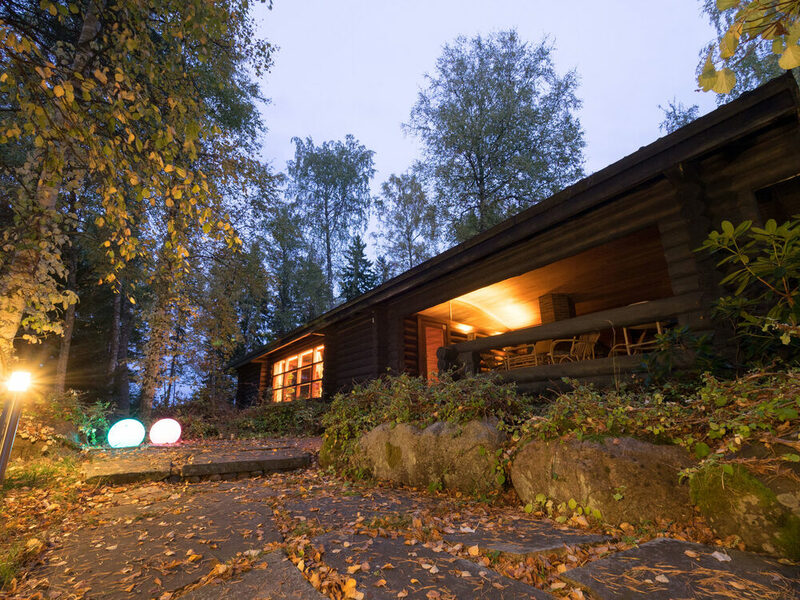 Lakeshore sauna on pool shore (36 m²), which is shared with owner, sauna has electricity, cold and hot water, shower and wood-burning stove. 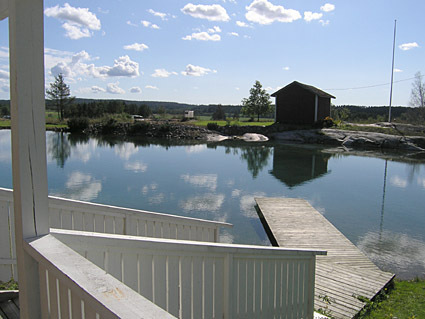 Previously a farm hand's dwelling, now converted for holiday use. Level, open and light yard area, owner's house 100 metres away, another rental cottage 6268 Vauvila ab. 200 m away. Places to visit: Meri-Teijo downhill ski centre 20 km, horse riding opportunities 5 km, rapids fishing at Latokartanonkoski 14 km, Perniö 7 km. Fiskars and Raasepori 40 km, aktivity center Namila in Salo 30 km, National park Teijo 20 km. Hanko 60 km, Turku and Naantali 80 km. 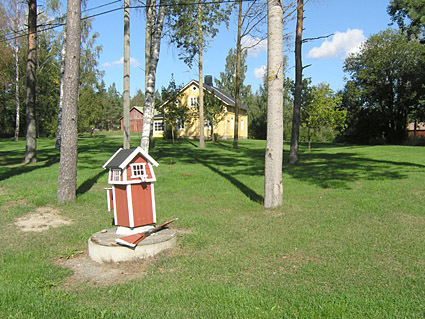 Perniö 7 km. 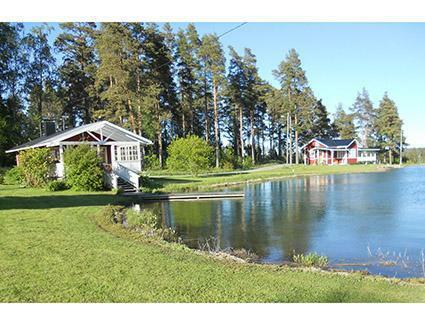 Upon agreement fishing possibility in the lake Sahajärvi (distance from cottage 15 km) at rate ab. 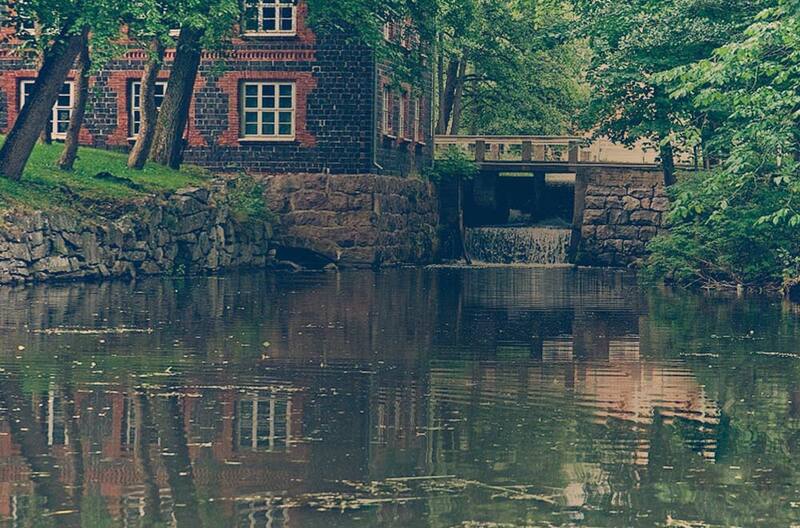 15 €/day/person including rowing boat.